Central Taiwan, Nantou county. 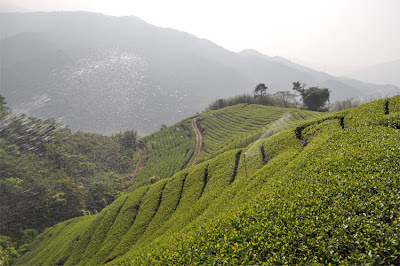 Zhu Shan's tea plantations at the feet of mountains leading to Shan Lin Shi. 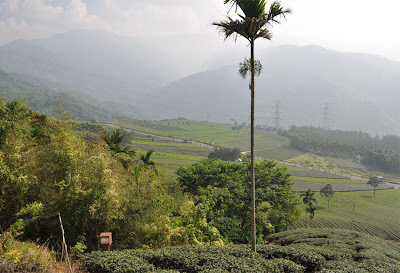 These pictures from my Zhu Shan farmer's Jinxuan plantation were taken a week ago. We can see that these leaves continue to grow at this period of time (unlike in Shan Lin Shi). And while the north of Taiwan has been very humid recently, the central region has been so dry that the farmers have to irrigate their fields. 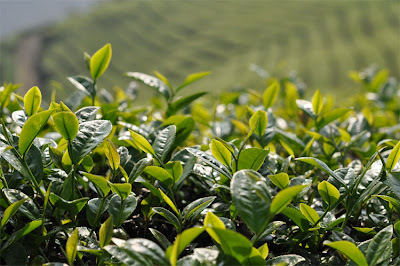 With less sun, lower temperatures -especially during the night- and just a minimum of water, the winter harvest yields less tea than during the other seasons. However, such conditions are similar to the High Mountains, That's why, the Zhu Shan Oolongs made this winter season will have the crisp freshness of winter Gao Shan Cha. Harvest by hand of November 19, 2009. Origin: young tree plantation in Zhu Shan, Taiwan. (Note: The indoors pictures were taken with natural lighting and no direct sun. This is why the colors look more grey than in reality). Competition tasting: 3 gr for 6 minutes. The tea is very fresh and fragrant. It isn't overly 'green'. The oxidation is a tad stronger than what's the norm nowadays. Good clarity. Some astringency, but enough sweetness and fruitiness to overpower it. A nice vibrancy remains in the mouth. The fragrances are light grassy and buttery. For a jinxuan Oolong, the aftertaste is dry and very sustained. The damage on the leaves is a sign of quality: the farmer didn't spray pesticide on them. And, when you feel them between your fingers, the leaves are quite thick and strong, full of nutrients. 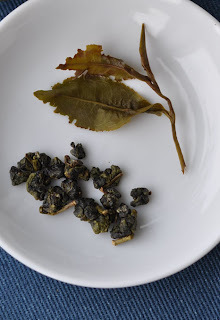 This fresh winter Oolong clearly has attributes I'm looking for in High Mountain Oolong. This makes it quite interesting and cheaper alternative. 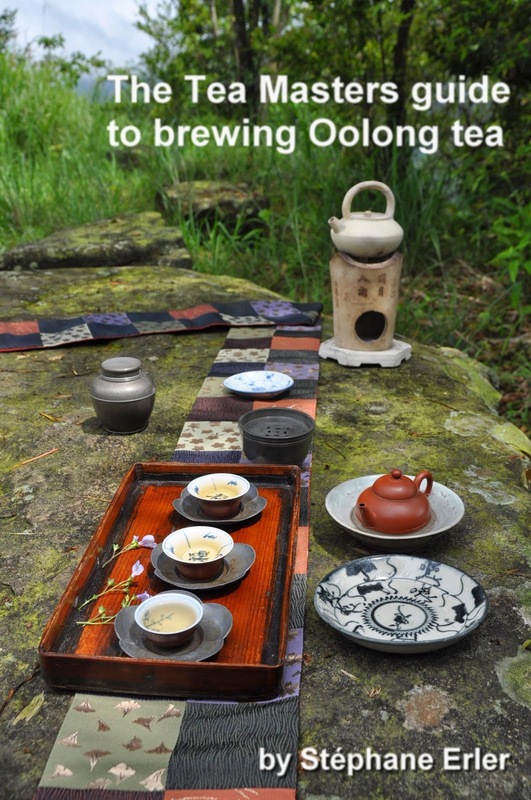 It can be drunk as an everyday fragrant Oolong or as a tea that lets you practice/experiment your brewing skills. With a lower cost, there can be less pressure and more freedom to try different methods, different wares. Gongfu cha isn't the repetition of the same parameters for every tea. 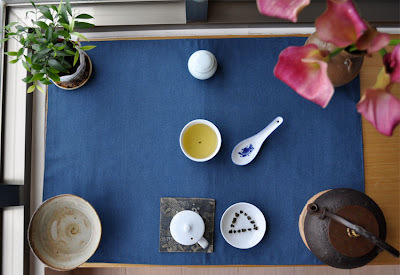 Gongfu cha is a technique refined with experience. The goal is simple: bring out all the good tastes and energy that nature and man put into these leaves. And enjoy! Update: For an independent review of this tea, visit this new tea blog. Il est très intéressant de voir les feuilles rongées comme ça par des insectes. 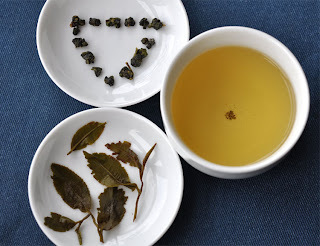 Le goût en est-il modifié comme c'est le cas pour le Guei Fei (qui se retrouve à être un peu à mi-chemin entre oolong vert et oolong noir, avec un petit côté gazonné)? Non, car l'oxydation est minimale. I'm learning that I often need to push winter oolongs more than those from other seasons; brewing a bit longer is taking some getting used to but the results are rewarding. 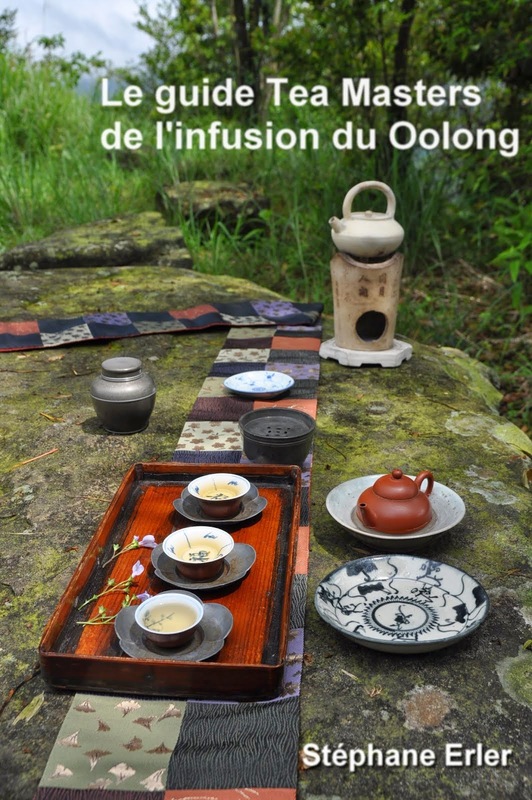 Bonjour, ce oolong est-il torréfié ? Merci !